Specialized guilds of microbes are capable of consuming single carbon (C1) compounds, i.e. compounds containing no carbon-carbon bonds, such as methane, methanol, or CO2. Microbes that eat methane are known as methanotrophs. Together with microbes that cannot consume methane but can consume other C1 compounds (methanol etc. ), they belong to a broader guild of methylotrophs, or C1 microbes. C1 compounds are extremely attractive for biotechnological applications. They are abundant and renewable and can be converted into useful chemicals, including fuels. At the same time, these compounds are greenhouse gases, and their removal from the environment would decrease their impact on global climate change. 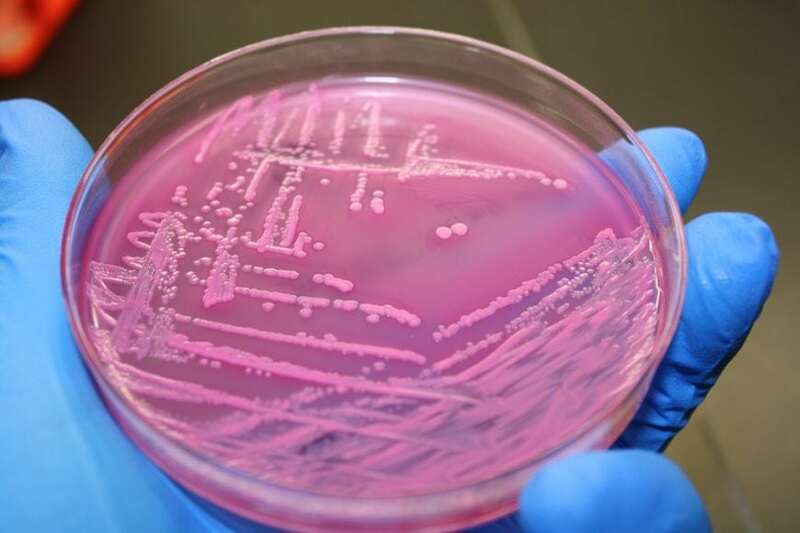 Harnessing the potential of C1 compounds for biotechnology is pursued via two main approaches: engineering native C1 microbes for converting C1 into valuable chemicals, and engineering traditional industrial platforms, such as Escherichia coli or yeast, to convert C1 substrates. One native C1 microbe, Methylomicrobium buryatense, shows promise in biofuel production, based on its naturally high lipid content. The lipids, after extraction, can be catalytically converted into biodiesel. So far, enhancement in the conversion of methane into lipids by this microbe was achieved through metabolic engineering. The same microbe was genetically modified to ferment methane into lactate, as a platform chemical. Importantly, increased lactate production did not negatively affect lipid synthesis, suggesting that C1 microbes could be used for co-production of biofuels and other value-added chemicals simultaneously. In addition to bacteria, archaea (unicellular microbes only distantly related to bacteria) also have been recently demonstrated as potential industrial platforms. A model archaeon Methanosarcina acetivorans, which, under natural conditions, produces methane from acetate, has been engineered to produce, acetate from methane, by reversing its native metabolism. The modified microbe was further engineered by expressing a gene from an anaerobic bacterium Clostridium, resulting in secreted lactate. The same engineered microbe was further employed as part of a synthetic consortium to form a microbial fuel cell converting methane into electrical current, by pairing it with a bacterium Geobacter sulfurreducens, which is a known exoelectrogen. One of the most developed platforms for converting methanol is a bacterium Bacillus methanolicus. Multiple strains have been engineered on this platform, producing compounds such as L-glutamate, gamma-aminobutyric acid, L-lysine, and cadaverine. Another bacterial platform is Methylobacterium extorquens, and this has been engineered to produce the sesquiterpenoid α-humulene, mevalonate, and 2-hydroxybutyric and 3-hydroxypropionic acids. An alternative approach, known as synthetic methylotrophy, has been implemented in two well-developed industrial platforms, bacteria E. coli and Corynebacterium glutamicum, by introducing three C1 enzymes that sequentially convert methanol into fructose 6-phosphate, which then feeds into the central pathways of the host. These metabolic modifications, while not allowing for growth on methanol, impact the metabolism of native non-C1 hosts, as demonstrated by increased methanol consumption and by labeling of intracellular metabolites with methanol-derived carbon. Synthetic methylotrophy has also been successfully conferred to naturally non-C1 yeast, through expressing a series of C1 enzymes, as proof of principle. Another attractive C1 substrate is carbon dioxide (CO2). Microbial conversion of CO2 into sugars and other conventional molecules has been the holy grail of biotechnology. This goal has been approached recently through several original technical solutions. In one study, key enzymes of the Calvin-Benson-Bassham (CBB) cycle, responsible for harvesting CO2, have been introduced into E. coli to achieve flux through the synthetic CBB pathway. Production of sugars from CO2 has been achieved through decoupling the synthetic CBB cycle from the energy-generating pathways, followed by laboratory evolution. A radically different approach toward improved CO2 fixation was used by exploring the feasibility of a theoretically designed pathway. The pathway deemed promising for experimental validation was the so-called crotonyl-CoA/ethylmalonyl-CoA/hydroxybutyryl-Coa (CETCH) cycle that shares many of its reactions with the naturally occurring ethylmnalonyl-CoA pathway that is important in both C1 and acetate metabolism. In this in vitro study, the relevant enzymes, originating from all three domains of life (Bacteria, Archaea Eukaryotes), were tested for the expected performance, the bottlenecks were identified and corrected via enzyme evolution, and additional supporting modules, such as cofactor regeneration, were added, culminating in a functional and efficient cycle. Synthetic methylotrophy can also be enabled by computationally designed enzymes that do not exist in nature. Such a novel enzyme, named formolase, has been described, that performs a carboligation reaction, directly converting formaldehyde into dihydroxyacetone that then feeds into the central metabolism of E. coli. Combining this enzyme with a methanol-oxidizing enzyme has produced the shortest linear pathway for methanol conversion. Recently, C1 microbes have emerged as organisms with a potential in biomining, especially with respect to rare Earth elements like lanthanides (REEs), as they have been shown to encode and express REE-dependent enzymes. As the REE-dependent enzymes have been shown to be regulated at the transcriptional level, responding to low concentrations of REEs, specific mechanisms for sensing, transport, and binding, are likely to exist. Elucidation of these mechanisms will form a base for engineering microbes for binding and concentrating REEs for industrial purposes. One novel aspect that has not been explored yet in terms of biotechnological use is the communal nature of C1 metabolism. Analogously to photoautotrophs, methanotrophs release carbon that can be consumed by non-methanotroph satellites. Thus, it is possible that commercially feasible platforms will involve communities rather than a single microbe. The significance of C1 compounds for modern humanity continues to increase. Both methane and CO2 are practically unlimited on this planet. The removal of these gases and their conversion into value-added compounds, including biofuels, would present the most practical solution to both greenhouse effect mitigation and to harvesting these abundant and sustainable carbon compounds. While C1 microbes present attractive biotechnological platforms, many challenges exist that, so far, limit their broad use on a commercial scale. A reverse approach, of engineering the well-developed commercial platforms (E. coli, yeast) to consume C1 compounds has also been challenging. However, the outlook is bright for both approaches, as we now possess tools and technologies (genomics, computation) to push the technical boundaries of these limitations. These findings are described in the article entitled Applications of methylotrophs: can single carbon be harnessed for biotechnology?, recently published in the journal Current Opinion in Biotechnology. This work was summarized by Ludmila Chistoserdova from the University of Washington.